At roughly 11 a.m. last Sunday, a 30-year-old man walked into a convenience store in Taichung, Taiwan, to pick up an umbrella. However, in this case picking it up didn’t involve paying for it, and a clerk spotted the man leaving the store with the shoplifted item. The suspect tried to run away, and made it about 200 meters (656 feet) from the store. Unfortunately, instead of encountering a Cat Bus waiting to whisk him away, he instead found himself confronted by a patrolling police officer, whose attention had been drawn by the commotion raised as the man tried to make his escape. Petty theft is a common problem in convenience stores, but the man’s choice of pilfered goods must have seemed odd. Why pass up foodstuffs or alcohol to consume by himself or a collection of small but valuable items he could resell in order to swipe a single umbrella? 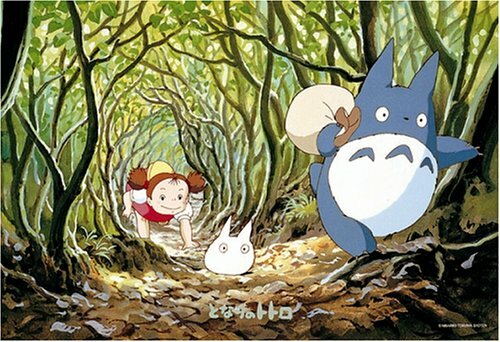 When questioned about his motive, the man explained that the idea to commit the crime came from director Hayao Miyazaki’s 1988 film My Neighbor Totoro. In the anime classic, there’s a scene in which the titular forest spirit and sisters Mei and Satsuki gather in a moonlit field and will a seed to sprout and grow into a tree by pantomiming pulling on the plant. Totoro is holding an umbrella in the scene, which the man says gave him the idea that he could change his luck if he too had an umbrella. It’s unclear exactly what benefits the man expected to receive after obtaining the umbrella, which he said he lacked the money to pay for. Also uncertain is the logic behind his professed plan to take it to a graveyard, as opposed to a field like in the scene that had inspired him. Most puzzling of all, however, is that the man was apparently moved deeply enough by the scene to break the law, but not enough to continue watching the movie through the next sequence, which shows that Totoro and the girls’ midnight gardening session didn’t produce anywhere the results they at first thought it did. Still, should the man’s financial lot in life ever improve to the extent that he can afford a little discretionary spending, we imagine one of those pattern-changing Totoro umbrellas is at the top of his shopping list.